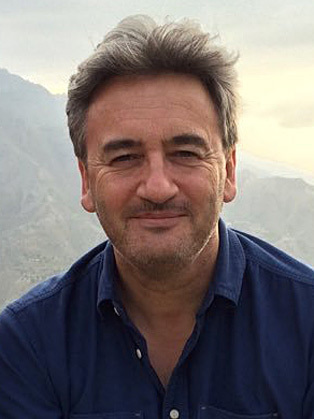 Following four years in South Africa, Fergal was then posted to Hong Kong as the BBC Asia Correspondent and two years after the hand-over of Hong Kong, Fergal returned to London to be based in the BBC World Affairs Unit. Fergal is now a Foreign Correspondent with BBC News. However, Fergal has also used his literary talents and experiences from his foreign reporting to explore other areas of interest. In 2005, Fergal helped found the UK based third world development agency, Msaada, assisting survivors of the Rwandan genocide. He has also written several books initiated from his experiences and interests, including 'Season of Blood' on the Rwandan genocide, which won the Orwell Prize, and his top ten bestseller 'Road of Bones' on the siege of Kohima in World War Two which was recently named Military Book of the Year. He has also written, produced and presented a documentary for the BBC on the Rwandan genocide (‘Valentina’s Story’) for which he won a BAFTA and written, produced and presented another three-part documentary ‘Forgotten Britain May 2000’, where he travelled across the country, interviewing people living on the edge of affluent societies but facing hardship through drugs, redundancy and exploring the effect of pressure from supermarkets on farming. With his Irish background, in 2011 Fergal produced his own five-part series ‘The Story of Ireland’ and has presented programmes for Radio 4, including ‘Taking a Stand’ for which he won the Sony Gold Award. In addition, over his time as a producer, presenter, reporter and author, Fergal has been recognised through winning many other awards. Amongst these, Fergal has won the James Cameron Prize for War Reporting, Amnesty Television Award for his investigation in Rwandan Genocide (1994), Voice of the Viewer and Listener Award (1996) and he is the only reporter ever to have won the Royal Television Society Journalist of the Year award and Sony Radio Reporter of the Year in the same year (1994). Fergal has also been recognised for his literary talents and awarded an honorary degree from University of Strathclyde, Bournemouth University and Staffordshire University and, in 2011, he received an honorary Doctor of Letters from the University of Liverpool. Fergal was appointed OBE for services to Journalism in the 1997 New Year’s honours list. Although born in London, Fergal grew up in Dublin and Cork. At secondary school, he joined the debating society, and found a natural talent, winning the Provincial Gold Medal for Public Speaking and today enjoys involvement in all types of public speaking engagements.